Sometimes you just need pie. And, I’ve got the best spot for you in Washington State. Located on Whidbey Island, WA, is award-winning Whidbey Pies and Cafe. 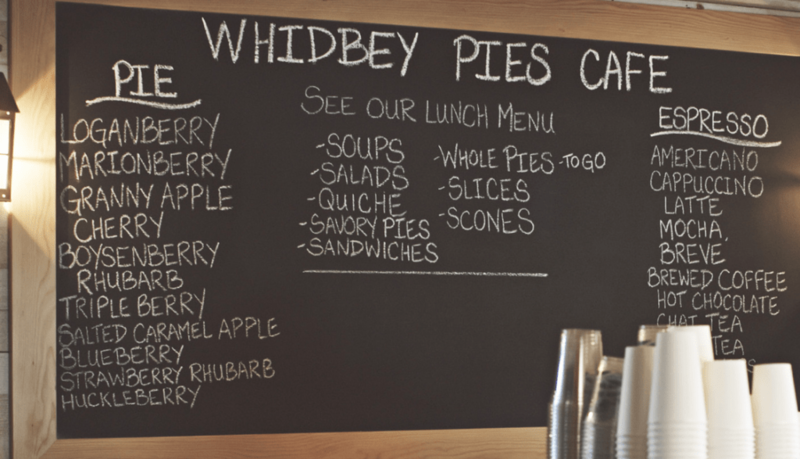 Whidbey Pies is a fantastic spot for a freshly made savory lunch followed by a delicious slice of pie (ala mode... and with house-made caramel works, too!). You can choose from many seasonal varieties and even gluten-free folks get a delicious option or two. Salted caramel apple, triple berry and strawberry rhubarb… to name a few. This is the perfect spot to spend some time indoors during a blustery day in the winter months -- add an espresso and you're set. In the summer months, there's a large patio dining space -- perfect for little ones and your doggie pal. You can finish your visit with a stroll in the fields and demo gardens, by letting your little ones burn off steam on the playground, or you can simply enjoy the art galleries and shops of Greenbank Farm. Greenbank Farm, now publicly owned, was once the largest Loganberry farm in the world. It has a big, red barn with pastoral farm fields and trails surrounding it. 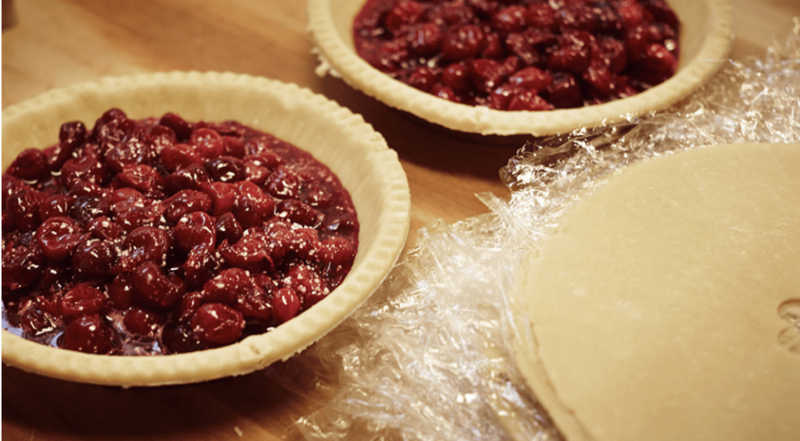 Make a stop for pie part of your vacation plans while visiting Whidbey Island and support this family owned café and the beautiful farm with the big red barn. I love to spend time with my family on Whidbey Island. It is the perfect place to unwind and enjoy nature. In the summer, I look forward to sunset kayak rides and baking pies from freshly picked blackberries. In the winter, I enjoy a toasty fire indoors with a glass of local, red wine and a good book.